On Sunday morning, hundreds of cars streamed into Greenwich High School beginning around 7:00am. 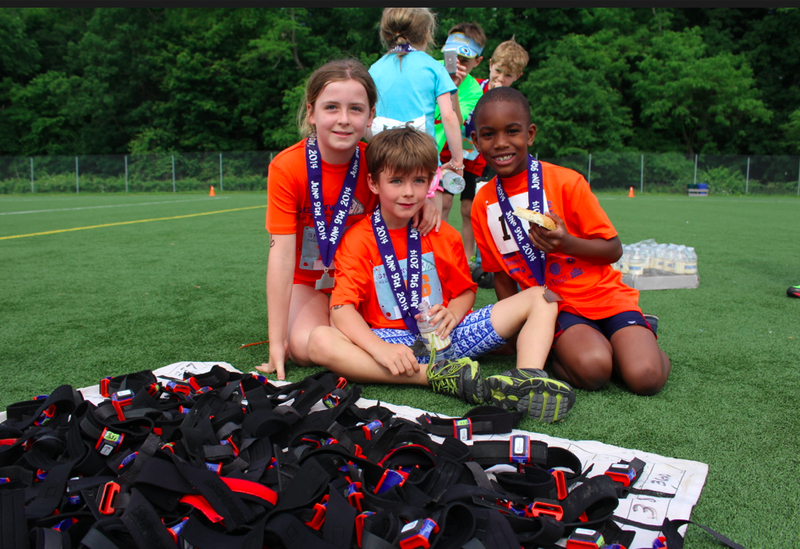 Children aged six to 16 donned orange triathlon shirts and strapped digital timing chips onto their ankles. 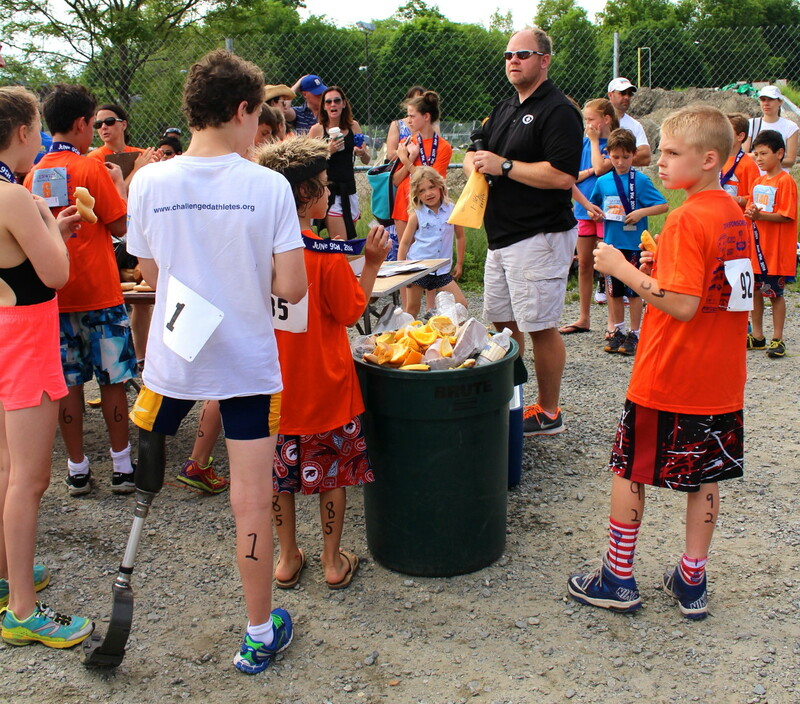 They received both bib numbers and body markings on their arms and calves. And yet, it almost never happened. 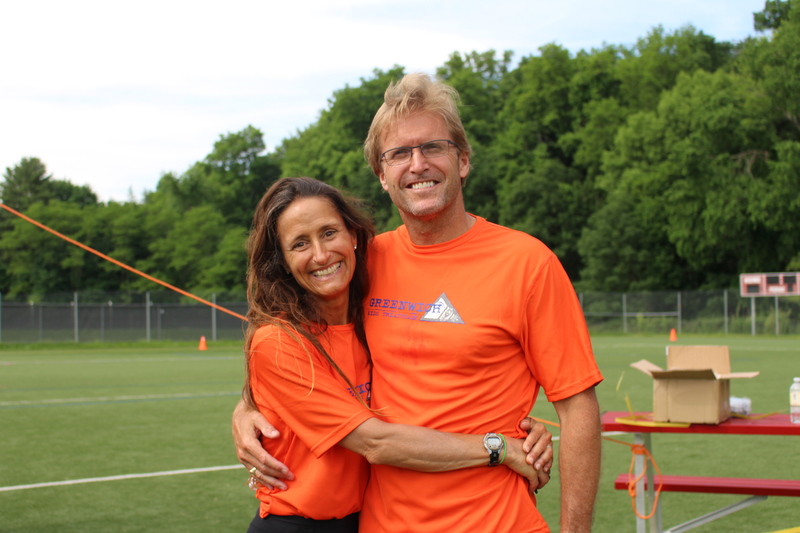 Greenwich Track Club director and Kids Triathlon organizer Bill Bogardus had been prepared to take a hit this year, the 12th year of the annual event. 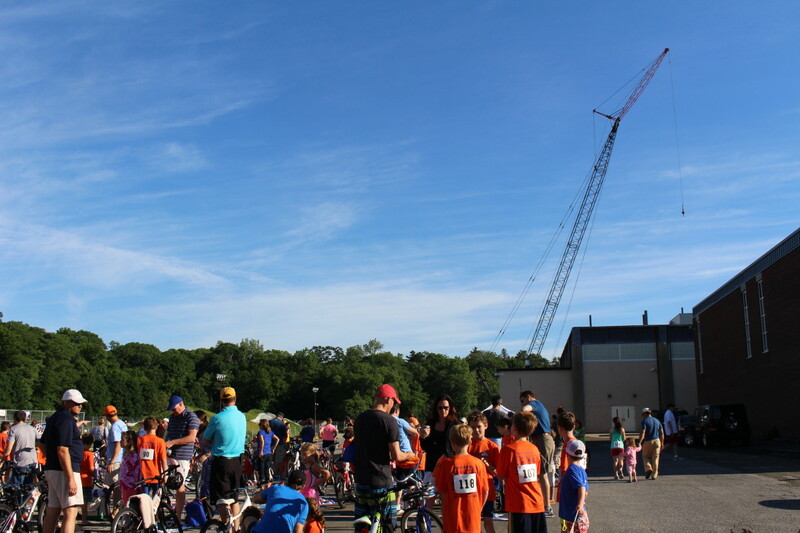 GHS has been home to the annual Kids Triathlon, but since this year the campus is in the midst of a massive performing arts complex construction project, know as MISA, and a giant crane and steel skeleton of the new auditorium were stationed in the space where the event has been staged in past years, the deal was almost off. “We knew about the construction and we thought it was going to be too much. So we were actually not going to have it,” Bogardus said, adding that he had received so many disappointed emails that he persevered. Talk to people like Ellie Thorson, 11, of Greenwich and it’s obvious how disappointed she would have been. 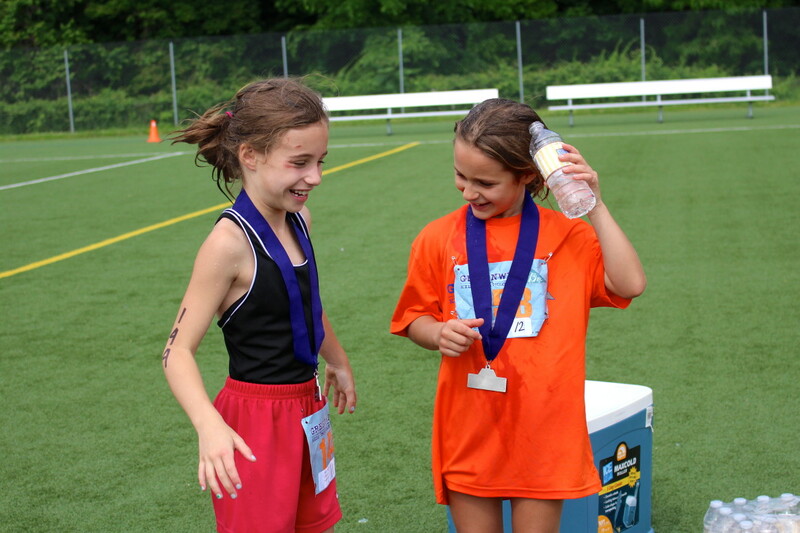 Ellie was just seven when she watched a program on the Disney Channel about a girl who completed a triathlon. She marched straight up to her mom, Christie, and told her in no uncertain terms that she wanted to do a triathlon. 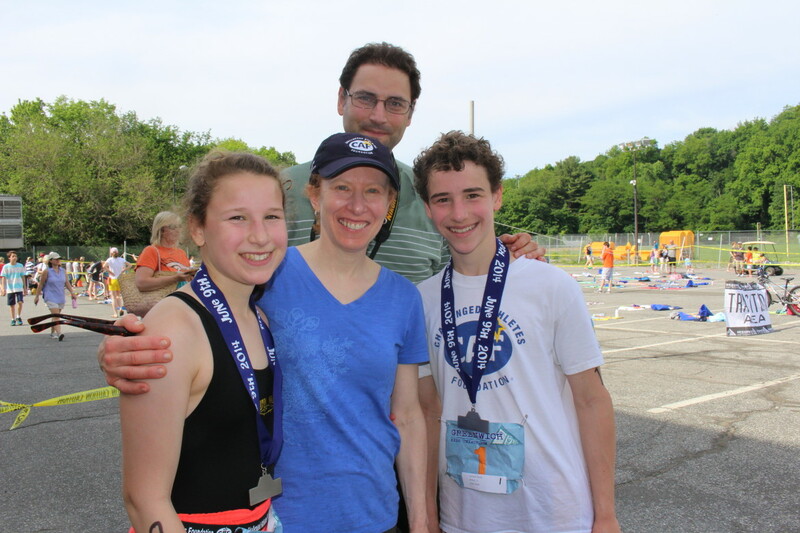 Christie’s research led her to the Greenwich Kids Triathlon and the rest is history. 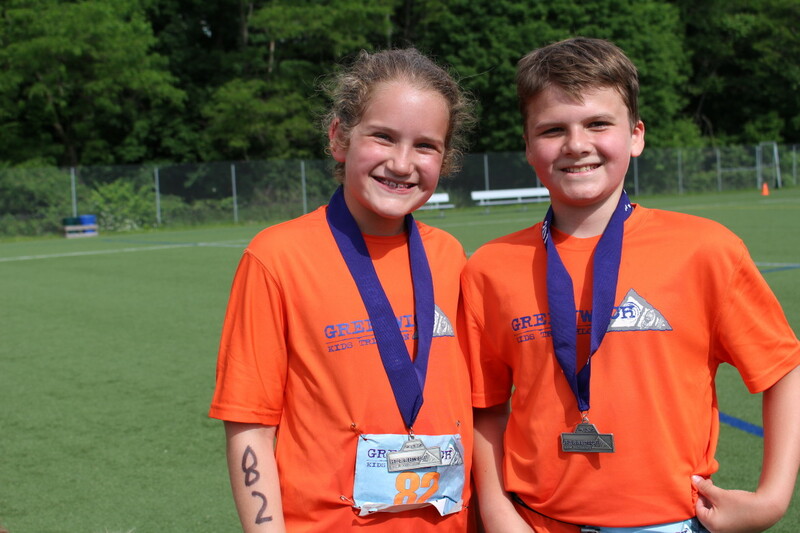 With a fleet of volunteers, more than in the past, and a long list of sponsors who included Greenwich Free Press, the race benefited from good karma and great weather. It was hot, but not humid, and the sun was strong. Just before 8:00am, the scent of various suntan lotions wafted across the parking lot. DJ Buzz blasted the music and led a warmup exercise. The brilliant sunshine waited like a warm hug for participants who burst through the doors of GHS’s indoor swimming and ran down the slip-proof blue mat to hop on their bicycles. 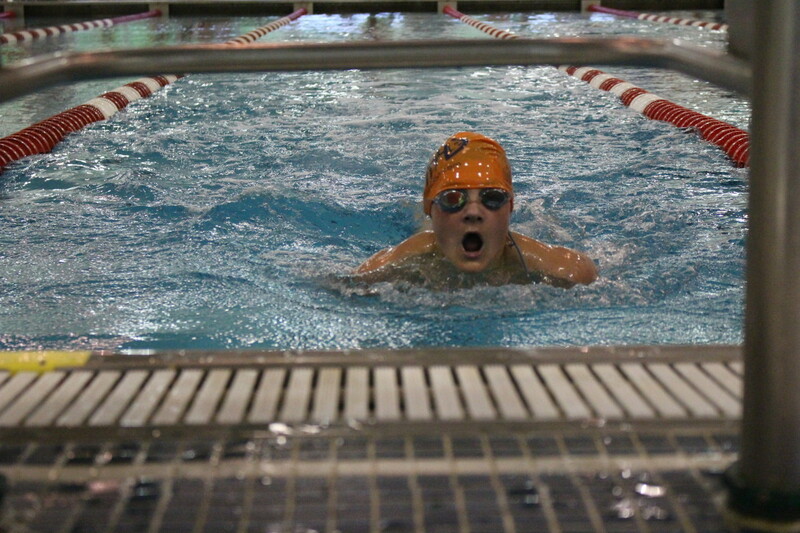 This year, swimmers ages 13-16 year were required to complete 12 lengths in the pool. 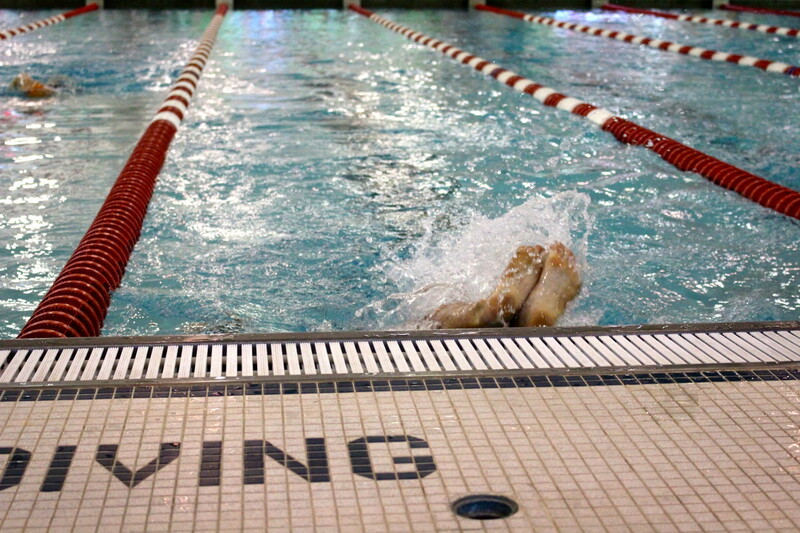 Those aged 11-12 did eight lengths and swimmers age 6-10 did four lengths in the pool. 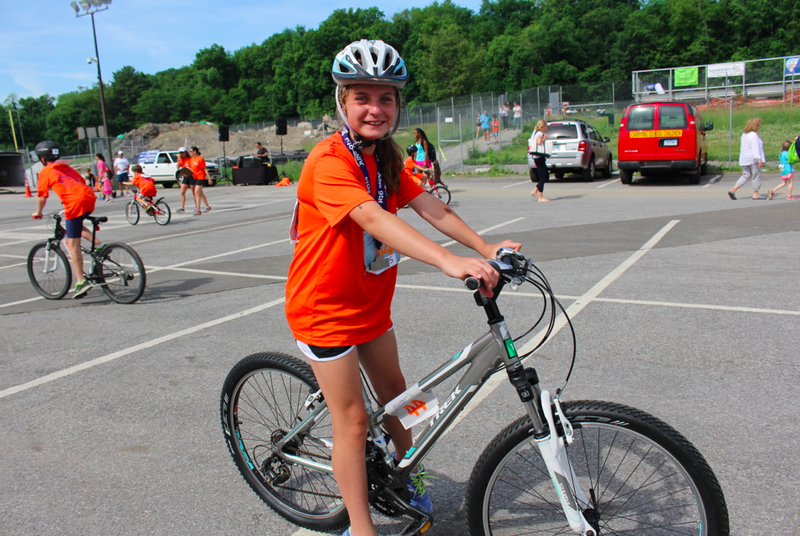 Bikers age 13-16 did 7 laps. 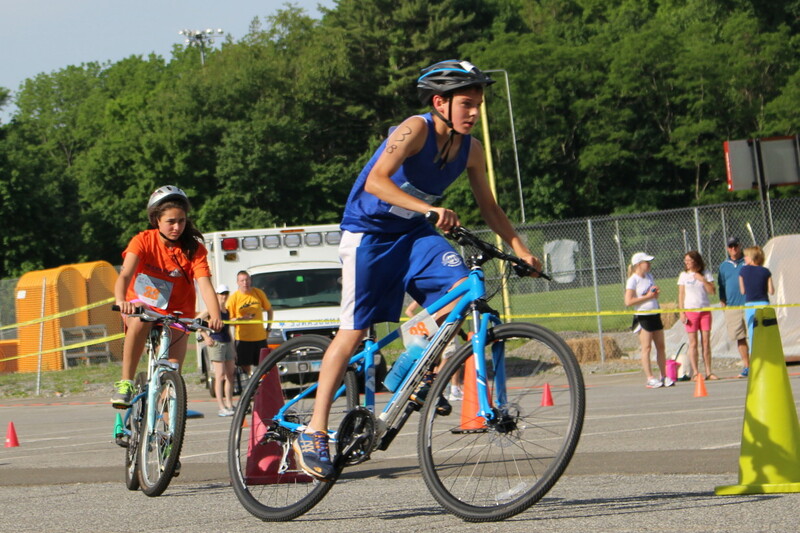 Ages 11-12 did five laps, and the youngest set, 6-10 yer-olds did three laps. 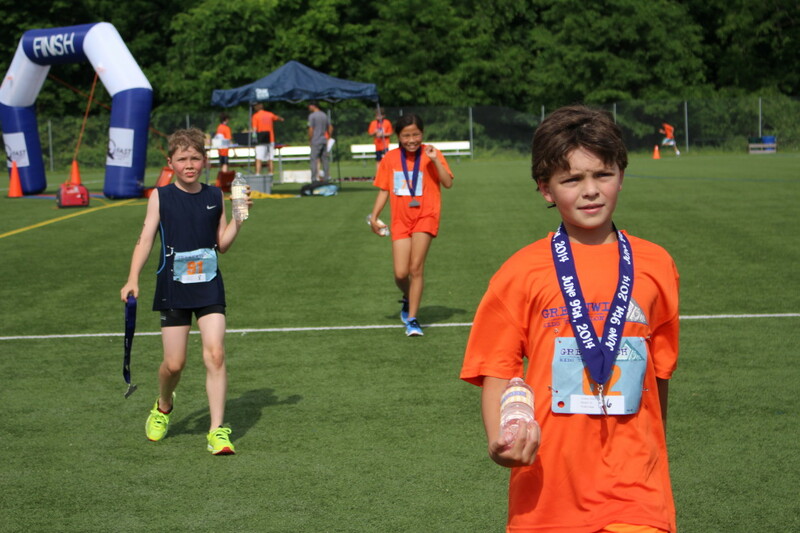 Last but not least, runners ages 13-16 did completed two full loops, ages 11-12 did 1-1/2 loops, and kids age 6-10 completed one loop. Bogardus’s advice was heeded. The configuration worked around the construction and the organization was fantastic. Every few feet a volunteer was stationed to cheer on athletes and keep them safe. 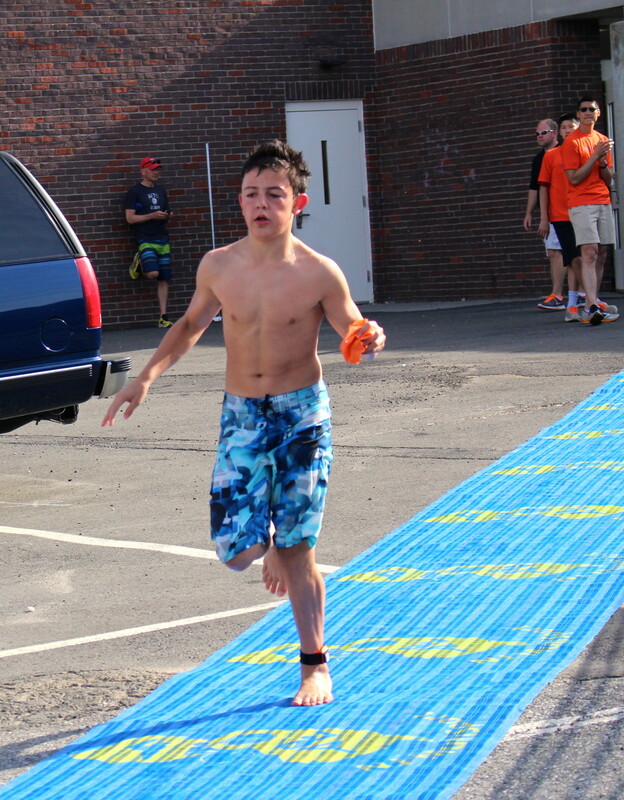 Competitors ran from the indoor swim to transition area No. 1, where their bikes were waiting. Transition area No. 2 was set up for bikers to dismount. 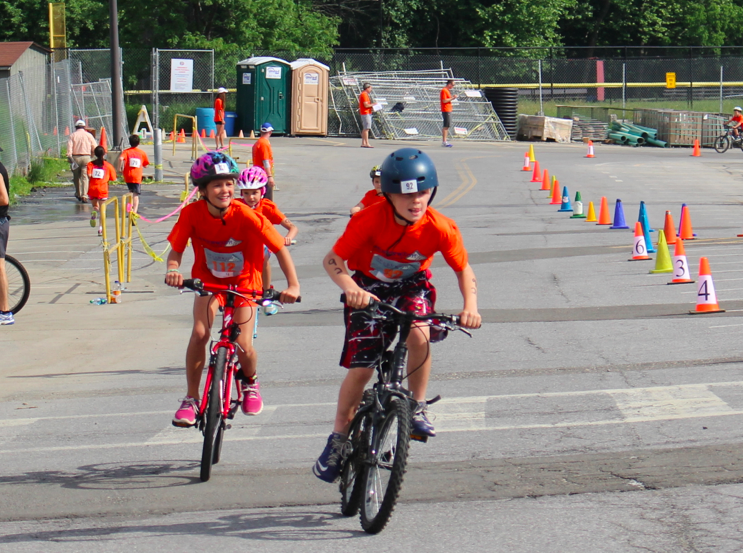 Despite the giant crane that towered over the triathlon, the event went off without a hitch. 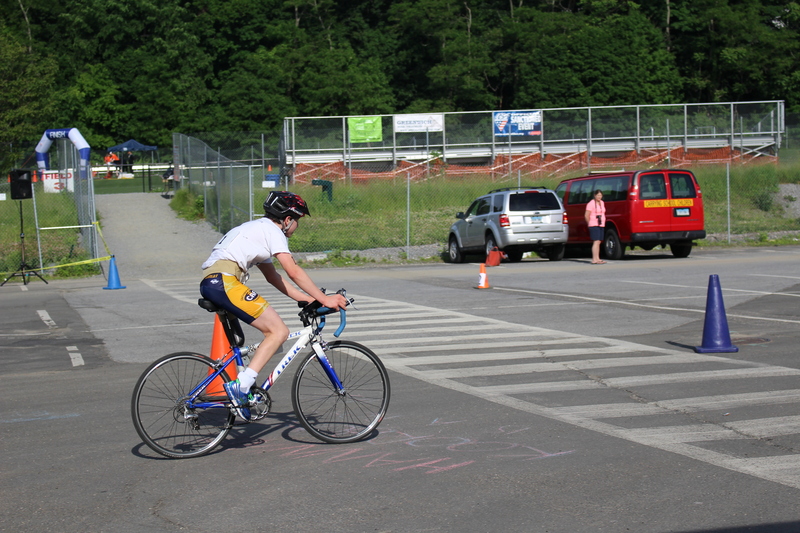 David Gelfand of Weston completed the triathlon like a pro despite having a single leg. Assigned bib No. 1, he did not disappoint. 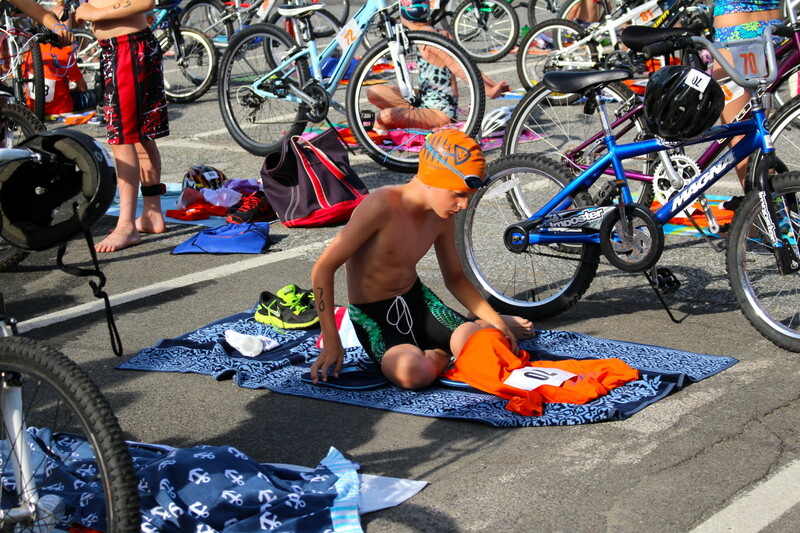 In fact, the event was old hat for the experienced triathlon athlete, who at the tender age of 15 has already traveled to triathlons across the country. 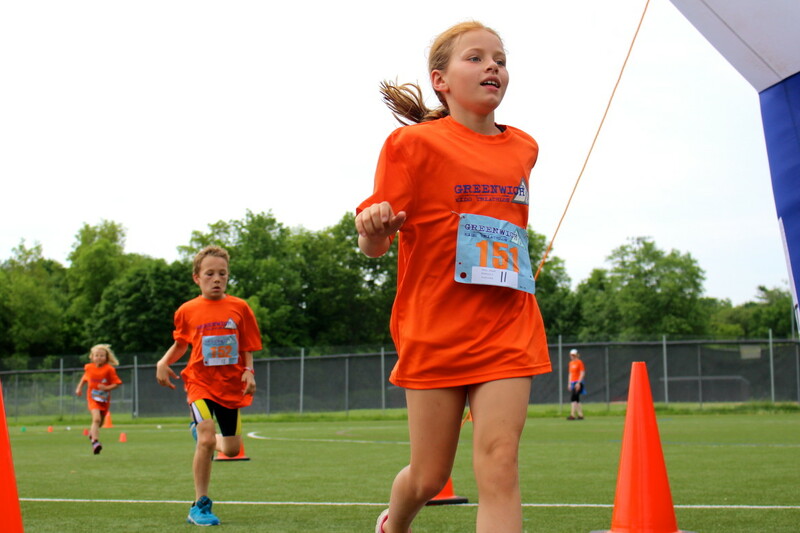 David, who participated along with his sister Rachael, 13, wore a t-shirt for the organization he is involved with, Challenged Athletes Foundation. “They also involve amputees and veterans. We show everyone what’s possible,” David said. At the finish line just around 10:00am, athletes received congratulations from Peter Newman, who joked that he is better known as the husband of Karen Newman. Karen is an accomplished triathlon athlete and breast cancer survivor. The Newmans live in Old Greenwich.